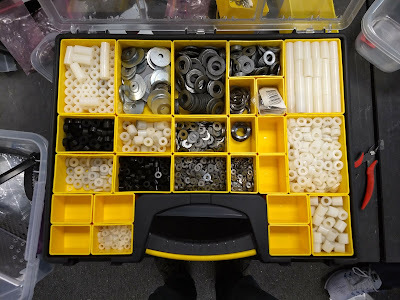 This bin is used for bolt spacers and washers. We order our bolt spacers normally #10 and 1/4" IDs with 1/2" OD. 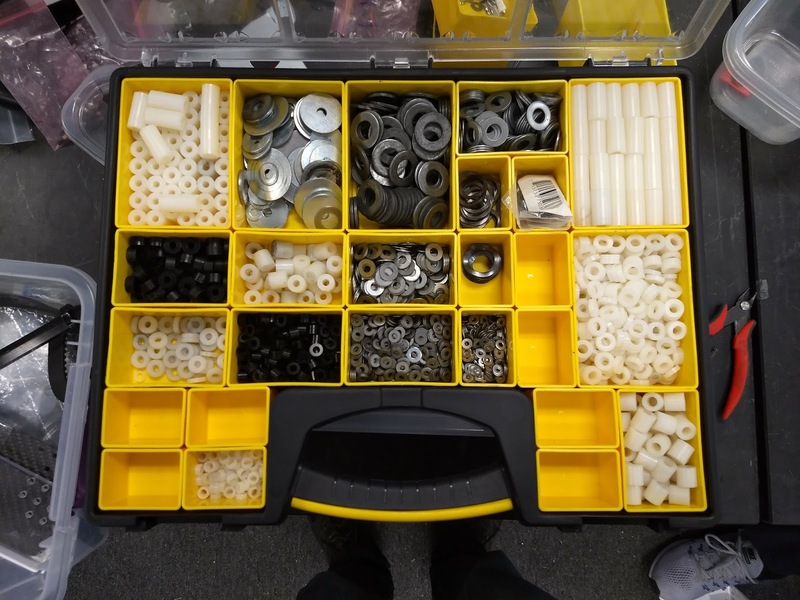 We have 1/8", 1/4", 1/2" and 1" spacers. This also has some wave spring washers for taking up slack on shafts and replacing them in VPs. We order them from McMaster mostly.